The Women’s Tour for professional cyclists will surge through parts of the Leicestershire countryside during its second stage in May, it has been confirmed. 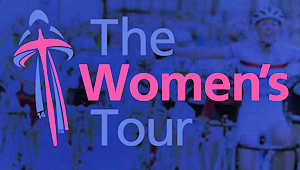 The stage will see the line-up of world-class sportswomen start from Hinckley at 11am on Thursday 8th May. The elite field will then cover 118.5km passing through Enderby, Cosby, Broughton Astley and Lutterworth before travelling into Northamptonshire on its way to the stage finish in Bedford. Eleven of the world’s top 14 teams are now confirmed for the event, including reigning World and Olympic champion Marianne Vos. The field will also include Leicestershire’s Lucy Garner, the double junior World road-race champion who will lead a young GB national team through her home county. “Now we know where the Women’s Tour is going, I’m sure people will start to plot where they can get a glimpse of the race. Oundle in Northamptonshire will host the start of the tour which takes place over five stages between Wednesday, 7 and Sunday, 11 of May. Further details of the race and the locations for the remaining stages will be announced over the coming months.